“The Web” is nearly synonymous with “information”. While much of this information is useful, a significant amount could be characterized as false, misleading, or biased. Confrontational Computing is a research project from Intel Labs, Berkeley to create a new tool that makes it easier for readers to pick through this minefield. The tool automatically highlights text snippets that disagree with information found elsewhere. Clicking on a highlighted snippet reveals an argument graph showing best sources on either side of the issue. 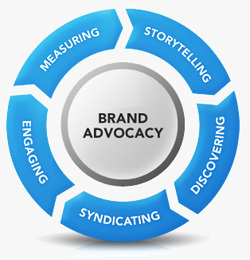 The links are maintained by a community of users, creating a new venue for rich interaction. 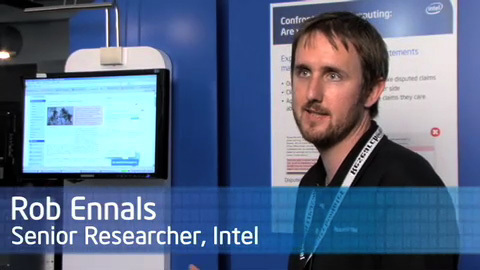 Rob Ennals, Senior Researcher at Intel, explains at Research@Intel Day.